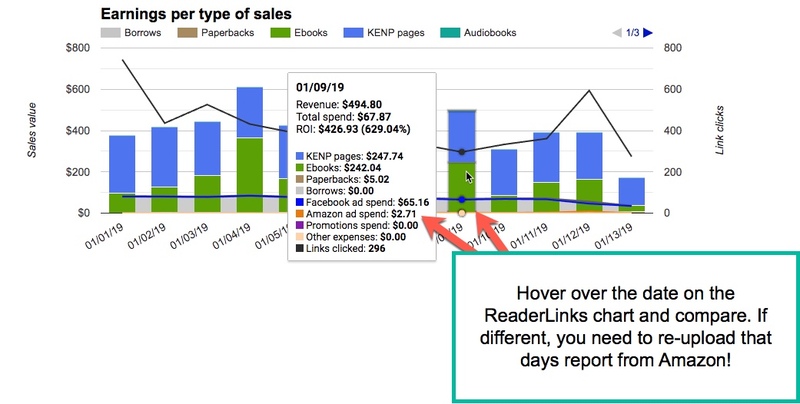 In order to get your ads reports for Amazon up on ReaderLinks, please follow these steps. 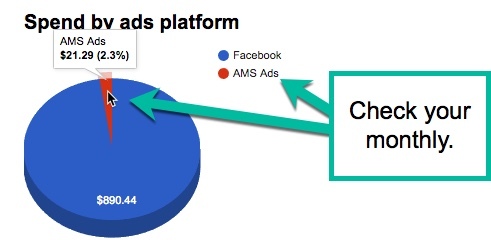 STEP 1 – Make sure you’re on the main campaigns page and select the date you want to download. NOTE: Amazon often updates the data multiple days later, so you should always go back a few days to make sure that you have the latest data. How many days is unknown, but we tend to look back 10 days, personally. NOTE: DO NOT use date ranges. Amazon does not split the data up over date ranges. You must upload only ONE day at a time. If you do a date range and upload it, you’ll just see a big spike for that day. If that happens, simply go an download the single day worth of data and then upload it again. Follow this image for details. STEP 2 – Make sure you name the file correctly. 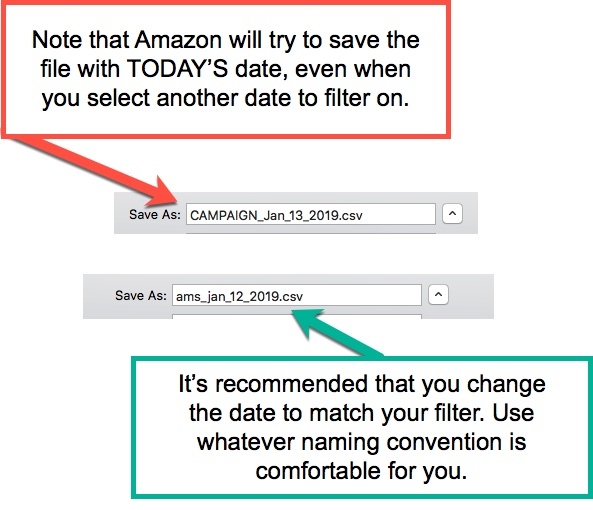 No matter what date you select when you filter your ads data, Amazon will put today’s date as the file name. Make sure you change that name accordingly. 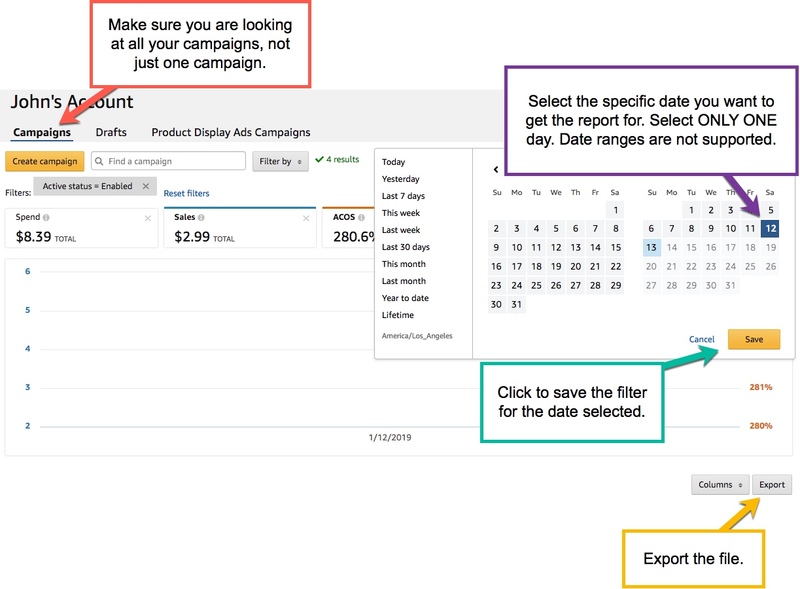 The key component here is that you want to want to make sure you select the right date for your report. 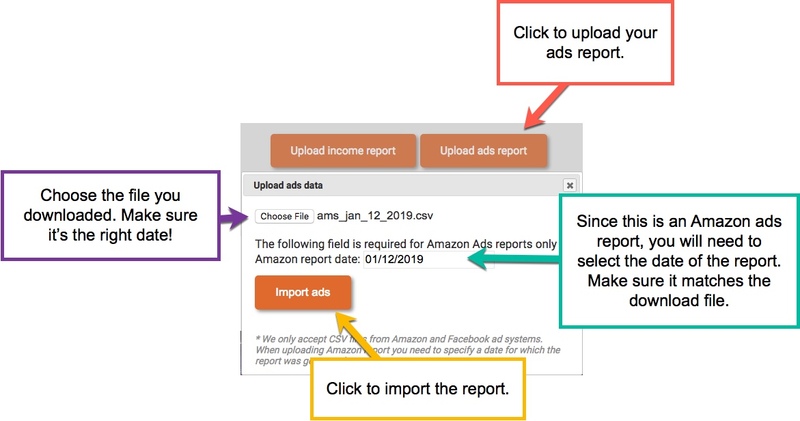 This is only necessary for Amazon ads reports because–for reasons we can’t explain–Amazon does not put the date in their reports. NOTE: ReaderLinks has no way of knowing if the date of the report is correct for the date you select. The good news is that if you accidentally select the wrong date you can now simply upload the report again using the right date! Just remember that you’ll also need to re-upload the report for the date you had accidentally selected. 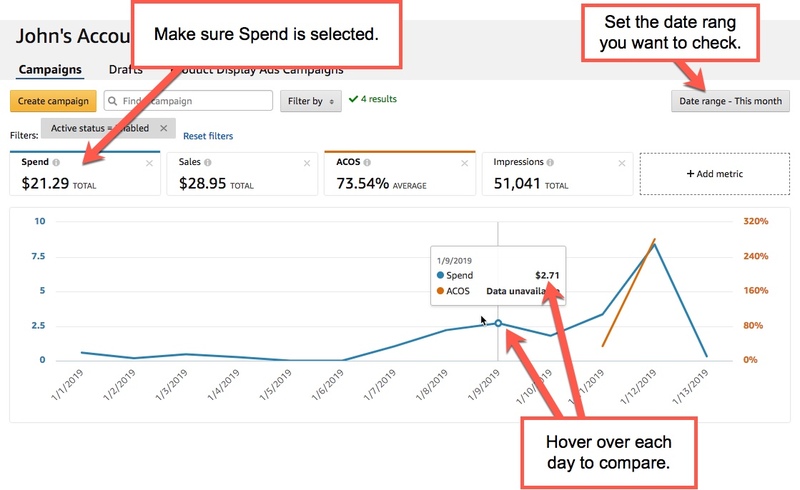 At certain intervals, you’ll want to check the data to make sure that Amazon hasn’t updated your daily spends. About 10 days into the month, take a day to fully look over the previous month’s data, for example. Follow these images for details.